dlebar. Removable training wheels. Adjustable leg reach. 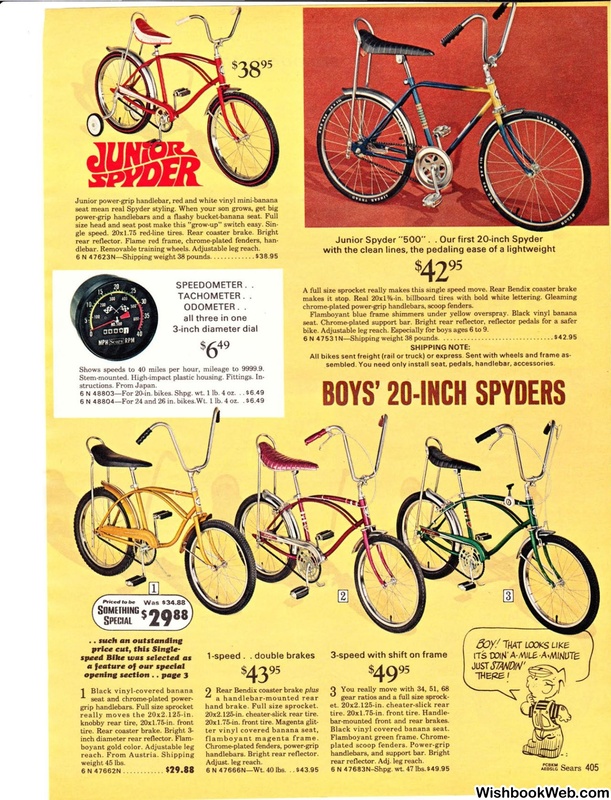 chrome-plated power-grip handlebars, scoop fenders. bike. Adjustable leg reach. Especially for boys ages 6 to 9. 6 N 475 31 N-Shipping weight 38 pounds. . . . . . .. . . . . .
Shows speeds to 40 miles per hour, mileage to 9999.9.
sembled . You need only install se at. pedals. handlebar. accessorie s.
6 N 48804-For 24 and 26 in. really moves the 20x2 .125-in . 6 N 47662N . . .
hand brake. F ull size sprocket. flamboyant magenta fra m e.
bar-mounted front and rear brakes. Black vinyl covered banana seat. rear reflector. Adj. leg reach.